The Minimax is a great Little Liquid Fuel Heater. 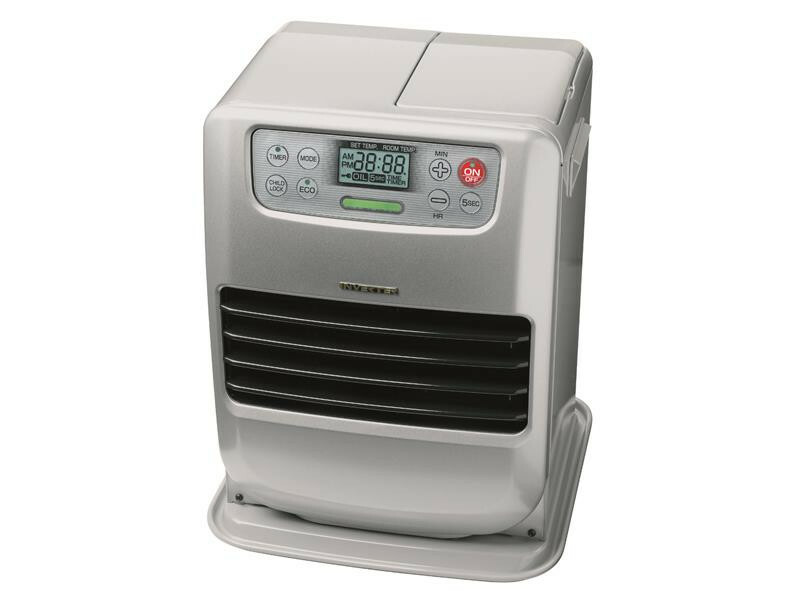 If you want a heater that is compact then the Minimax is about as small as they get - just about 30cm (1ft) square and 39cm high. Really tiny. Yet the Minimax packs a good punch and great features. 2.4kW max output, full digital control of temperature and a decent sized tank so you can get up to 17 hours of burn on one tank even when running flat out. The Minimax still has all the safety features you need for indorr operation - cool to teh touch case, child lock and auto cut-off if knocked over and all steel contruction. The whisper quiet fan on the back throws the heat out across the floor just where you want it. We like the Minimax - it is just so unobtrusive and yet has all the features you need and expect from a liquid fuel heater. Minimax is available in Black, Silver or Blue finish.